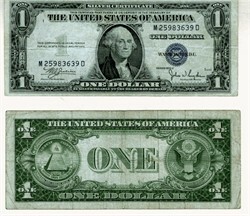 Historic $1 Silver Certificate from the United States of America dated 1935. This historic document has an ornate border around it with a image of George Washington. Circulated Good to Fine condition.